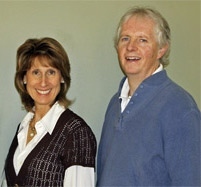 Since 1985 - "OVER 30 YEARS IN BUSINESS"
Click here to learn more about Dr. Jay Heney and Dr. Therese Jacobs Heney! Patients Choose Hanover Chiropractic Health Care LLC For All Their Health Care Needs! We offer our patients friendly, personalized quality health care that understands each individual's uniqueness. Having two doctors with individual styles of treatment allows for a greater capacity to address each patient's unique needs. Our purpose is to improve each patient's health and well-being naturally by chiropractic care, nutrition and rehabilitative methods. After thorough consultation and examination, we design a program specifically tailored to each patient's chief complaint and assist them in maximizing overall health. We enjoy working with our patients as partners on their journey to better health. Waiting will only postpone the moment you enjoy relief. So call now. Countless South Shore residents already have! Call our Hanover chiropractic office today!